Sean Penn's adaptation of Jon Krakauer's non-fiction book is a bracing cinematic plunge into the odyssey of Christopher McCandless. Every once in awhile, a movie will come outta nowhere and blow your socks off. Crafting his meditation on the men who answer the call of the wild, Sean Penn's adaptation is heavy on mood and ambiance but sadly lacking in depth, giving up on the wider comparisons to focus fully on McCandless, who may not be up to the scrutiny. It's a bit heavy-handed, but ultimately a rewarding watch. Even in its harrowing final moments, it reaches a spiritually transcendent pinnacle - the idea of ending one long, strange trip and plummeting into an even-greater unknown with both fear and elation. A stirring American drama of comfort and conflict. An uplifting and enriching cautionary tale about one man's spiritual adventure on the road and in the wilderness. Even Penn's more indulgent flourishes seem to enhance the film's keen feeling. Penn's film displays a deep and abiding love for America, set against a critique of the uglier aspects that exist alongside all that the beauty. A long trip, but worth the wait. Paul Chambers, CNN. Although it's been hailed by many, I found Sean Penn's film to be the tale of a megalomaniac as told by a narcissist. 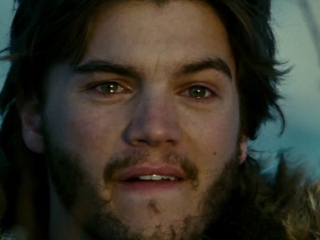 I would never do what Christopher McCandless did, and yet I found Into the Wild to be incredibly inspiring. Into The Wild has been made into a prayer of a motion picture by Sean Penn. It may not touch everybody, but those whom it does touch, it will touch deeply. It is a haunting odyssey. ...it's not the character of McCandless...but the supporting cast and characters who bring the story to life. About the only good thing this movie can offer is some nice scenery, which I don't need to watch a movie over two-hours long to see. As [Hirsch] struggles with the elements, his increasing frailty and the cinematography's increasing grandeur mesh in a way that's at once iconic and wrenching. Often too concerned with how smart he's being, Sean Penn gets the quiet moments right while some of the more dialogue-intensive come off poorly.